There’s nothing like sitting by a cozy fire on a cool Fall night. Whether you roast marshmallows with the kids or gather your friends around for a glass of wine, you’re sure to enjoy these deep discounts on outdoor fire pits. We found low prices on fire pits of all shapes and sizes at Walmart. 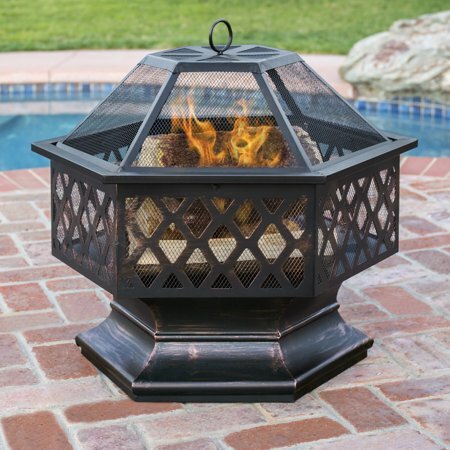 For example, this Hex Shaped Fire Pit drops in price from $159.99 to $74.94. That’s more than a 50% discount! 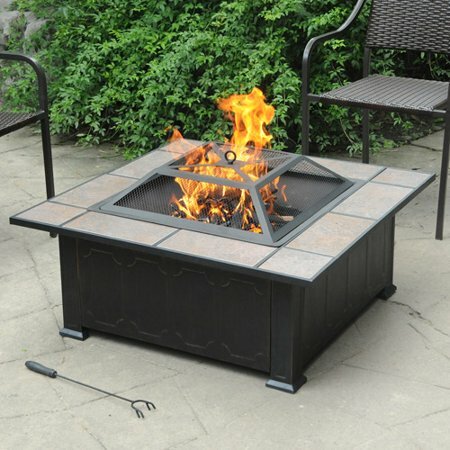 Or check out this Axxonn Ceramic Tile Top Fire Pit, which looks pricier than it is. It retails for $118, but it’s on sale for $90.43 right now. Both these fire pits are durable and weather resistant, and both ship free. Or choose free in-store pickup to get it even sooner!